80-Quart Stockpot With Lid And Basket | BUDK.com - Knives & Swords At The Lowest Prices! Exploring the bayous and marshlands of southern Louisiana, crabbing from the shore, camping on the beach, duck hunting, bass fishing - these are the outdoor experiences upon which Bayou Classic was founded - and at the end of the day, it was always about cooking. That’s why they crafted their 80-Quart Stockpot with such careful attention to detail. Made of commercial strength aluminum, this stockpot will stand up to years and years of use. 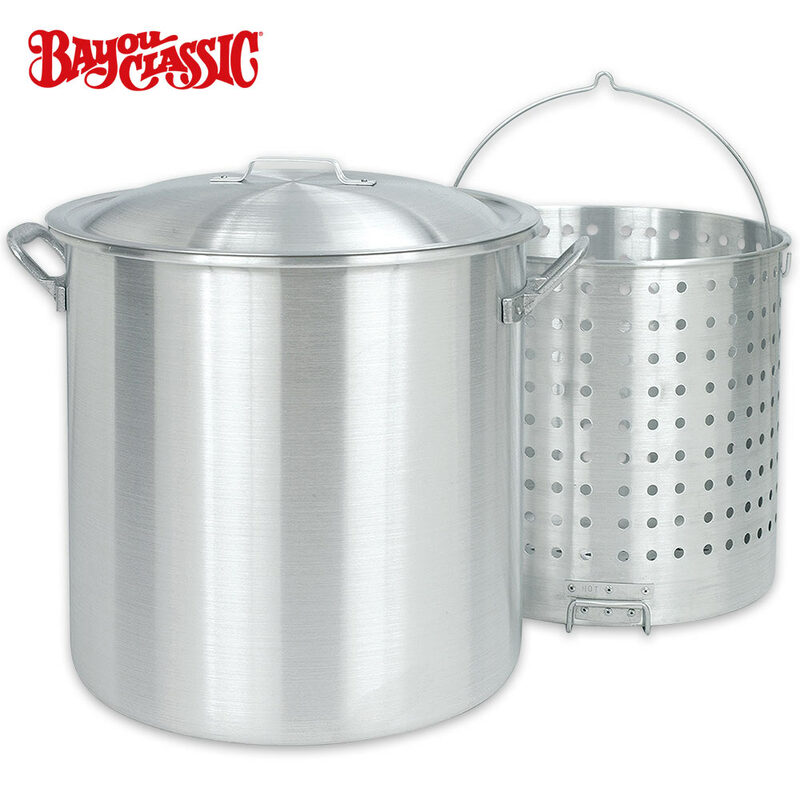 It has a full-size perforated boiling basket that features a heavy-duty riveted helper handle. The lid is vented and the stockpot is 19 3/5” x 15 3/4”.